The Aroma Zzar Aromatherapy Diffuser with Sound (Az 700) gives you a complete spa and relaxation zone at home. More outside the box than a regular sound machine that simply plays white noise or natural sounds, with the Aroma Zzar you have the benefits of an aromatherapy diffuser as well. 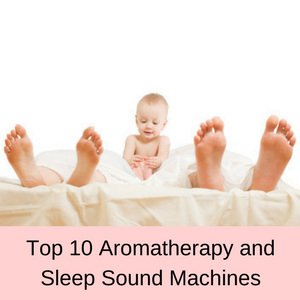 You might not have considered an aromatherapy sleep machine at all, but since you can either listen to the pre-set natural sounds or use your own MP3 music, there is a lot going for this sound and scent diffuser machine. Blocks out annoying noises that wake you up. 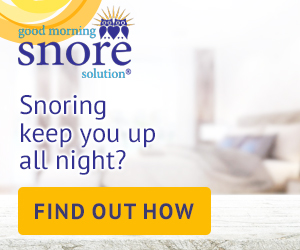 Masks your partner’s snoring, dogs barking, neighbors arguing. Wonderful for parents who need a good nights sleep. 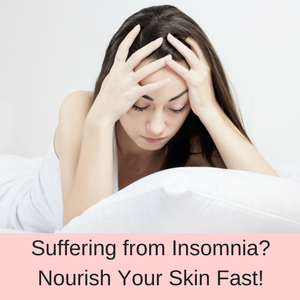 Helps to relax you so you fall asleep more easily. 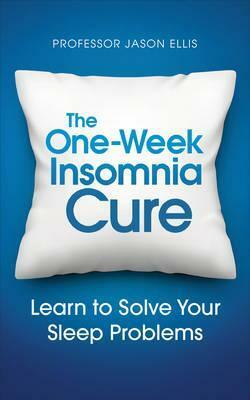 Improves the length and quality of your sleep. Masks the noise of the TV, radio or kids playing in another room. Helps you to sleep in noisy neighborhoods. Diffuses a wonderful perfume throughout your room. 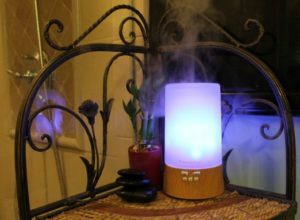 This ultrasonic essential oil diffuser with natural sounds provides many hours of relaxing perfumed mist, as well as soothing sounds for a complete spa and relaxation experience at home. 4 selectable nature sounds – wind, bubbling brook, softly tweeting birds, ocean sounds. Play your own music from your MP3 player or cell phone. 7 rotating or selectable colored LED lights (you can turn the lights off). 4 different mist settings – continuous, or 1, 3 and 8 hours with intermittent misting. 120 ml (4.0 fl.oz) water reservoir for up to 8 hours of intermittent use. Auto shut-off feature for added safety when the water runs low. Lovely soft glowing night light. Wood grained base with glass diffuser top for stability. How do you use the Aroma Zzar Sound Diffuser Machine? 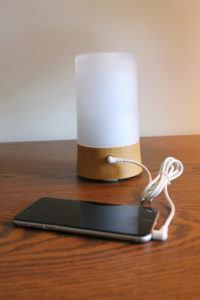 With the solid wood grain base and the heavy duty glass cover, this aromatherapy diffuser and sound machine is designed to be sturdy and won’t tip over easily (perfect around kids and pets). To use this sound diffuser, first remove the glass cover from the unit and then remove the lid from the water reservoir. The sound diffuser comes with a measuring cup, which you simply fill with tap water and pour into the water reservoir, along with a few drops of your favorite essential oil. Light ON/OFF, cycling through the 7 colors or pick just one color. Mist ON/OFF or select 1, 3 or 8 hours of intermittent misting. Music ON/OFF and either select one of the 4 preloaded natural sounds or attach your MP3 player and play your favorite tunes. An ultrasonic aromatherapy diffuser uses cold mist technology to diffuse micro-particles of water and essential oils into the air. These water droplets tend to increase the humidity in the air, but not as much as a dedicated humidifier would do. They are ideal for filling your room with a fabulous perfume, as well as diffusing essential oils that can help you to relax and chill out at the same time. 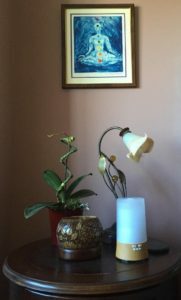 You can also diffuse essential oils that help to fix your sinus problems or remove a headache, as well as numerous other problems, depending on the essential oils you use. As they don’t use heat to diffuse the water vapor into the air, ultrasonic aromatherapy diffusers are safe to use around children and pets. 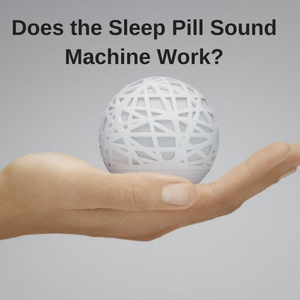 A sleep sound machine is a great way to help you fall asleep and stay asleep in noisy environments. 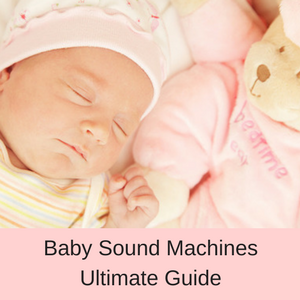 You can usually set a timer so that the relaxation sounds or white noise plays for a few hours and automatically turns off or you can let them play all night long. Shift workers, parents and people who live in noisy neighborhoods really benefit from playing gentle background sounds, which help to mask and block out other annoying sounds that keep them awake. What are customers saying about this sound diffuser online? There are not a lot of reviews about this aromatherapy sleep machine online, but those that I have found are all very positive. Customers love the that the Aroma Zzar is so easy to use, that it diffuses fabulous scents throughout their room and that they can play their own music. This is my first Oil Diffuser, and I LOVE IT! 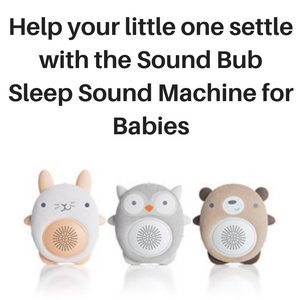 I originally was looking for a white noise machine when I found this, and im so glad i did! The colors are wonderful the volume is perfect for me and the smell is great! Exactly what I needed for my babies room! I love this diffuser. Love the lights, the sounds and it puts out the right amount of mist. Love how I can plug my iPad into it and enjoy music too. If you’re looking for a good diffuser, this is by far the best one I’ve seen. The elegant style of wood grain and frosted glass goes well with any home decor. I love that I can switch colors and music. This is a fantastic find. I’m glad I took some time to research diffusers and that yours stood above the rest. It was an easy choice! I put in an “ocean breeze” scent and stopped the color on turquoise, put on the ocean sounds, slept like a baby! Will buy one for each bedroom!!! 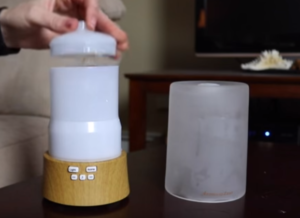 So far, I can’t find any negative reviews for this diffuser and sound machine online. 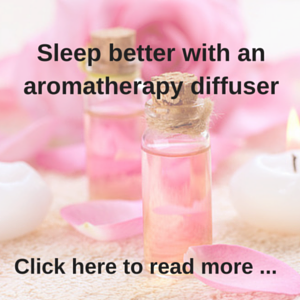 Aromatherapy is a great way to help you relax and chill out after a hard day at work and there are so many different essential oils available to address a whole host of different problems. 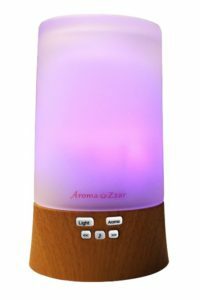 Instead of just buying a sound machine to help you relax and block out annoying sounds, with the Aroma Zzar essential oil diffuser you can play your relaxing sounds and at the same time use the light therapy and aromatherapy! You have three therapies all in one – light, sound and aromatherapy and you can pick just one or use all three for a wonderful relaxing experience. The Aroma Zzar makes a great gift for yourself and for all of your friends and relatives and is definitely worth a look. 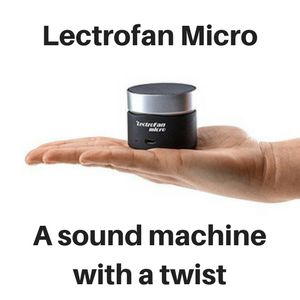 Read more of my sleep sound machine reviews here.